I was given a free copy for an honest review. 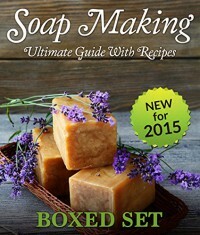 This boxed set was a great introduction to soap making, much better than the other boxed set. This boxed set has many recipes for soaps, including Christmas Soap. It goes into detail about cold vs hot, how to add scents, and how to store soap making materials. A good deal all around.